Dave Matthews Band will perform at Bridgestone Arena on Nashville on May 11, 2019. Tickets will go on sale to the general public on Friday, February 22 at 10am local time. 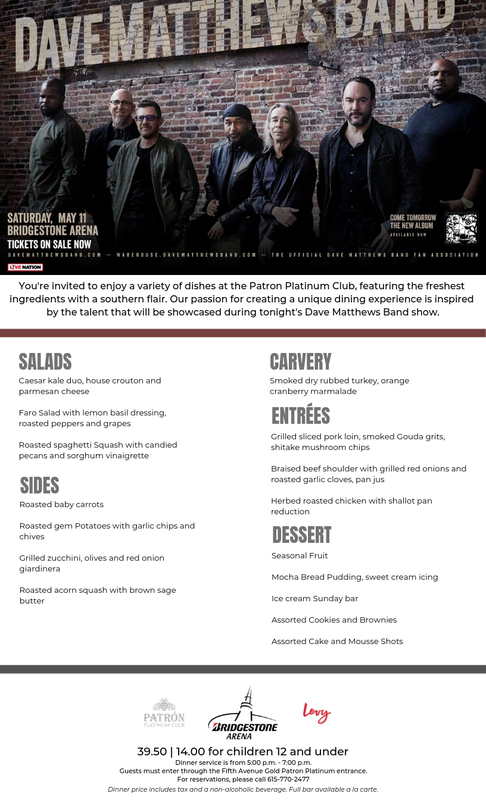 For the complete itinerary, see below or visit http://www.davematthewsband.com.